Whether you are trying to manage your real estate transactions on your own with files and spreadsheets or are using an existing software solution, EZ Coordinator can save you time and money on your next transaction. EZ Coordinator is the premier tool used by brokers, agents, and transaction coordinators to manage their real estate transactions and improve efficiencies leading to more closed deals. Find out just how simple it is to use, and Get Started Today! 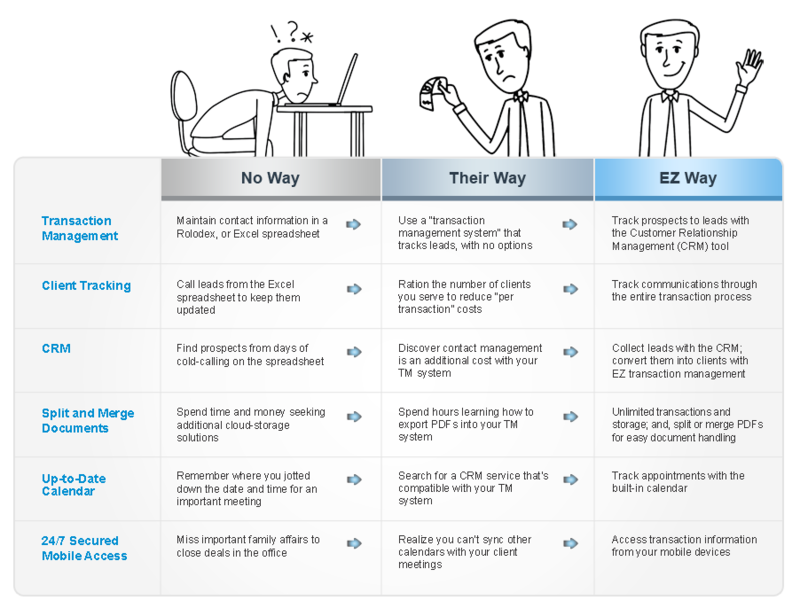 We call it EZ because it is easier than all the other real estate transaction software and Excel spreadsheets out there. At the same time, it is also more useful than those products, because none of them simplify real estate quite as much for quite as free. Try it out! You will be surprised how much peace of mind it brings to know that all your documents are in one secure place and all your transactions are under control.